Stubborn unwanted hair can be so frustrating at times; it may even make women feel less confident about themselves during their daily lives. Rid yourself of unwanted hair and subconscious attitude with today's deal. The best moments of your life are those days when you feel like nothing can let you down from doing all the things you want even when others are trying to do the least to look at their best. Feel free as much you can be and enjoy smooth, hair-free skin with Diode Laser Hair Removal from Elie Abi Hanna. 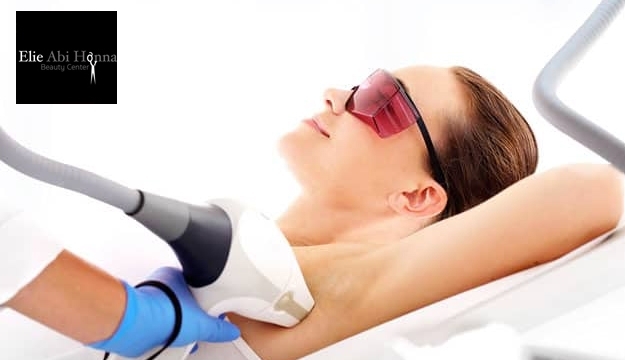 Hair follicles are precisely targeted and destroyed using revolutionary diode laser technology. Welcome to relaxed atmosphere designed just to make you feel great. They take the time to consult with you and find just the right combination of color, cut and style, to create the best look for you. Their 15 years experience ensures individual attention to their clients. The look you choose is very personal because it depends on the lifestyle that you lead. They will provide you the right services to lead you to beauty world. Through their seminars and festivals around the world they were dedicated to serve your beauty needs.